Jazell Barbie Royale from US is crowned by last year's winner Vietnam's Nguyen Huong Giang. A contestant prays before joining the final round Miss International Queen 2019, an annual transgender beauty pageant celebrated in Pattaya on March 8, 2019. 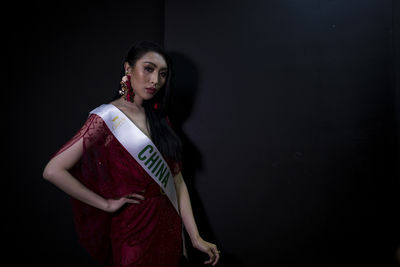 Angel Lama from Nepal waits backstage during Miss International Queen 2019, an annual transgender beauty pageant celebrated in Pattaya on March 8, 2019. Kanwara Kaewjin of Thailand poses for the camera after getting her makeup done. Contestants at backstage during the Miss International Queen 2019, an annual transgender beauty pageant celebrated in Pattaya on March 8, 2019. Jazell Barbie Royale from the USA was crowned 'Miss International Queen 2019' in Pattaya, Thailand, on March 8. This yearly event is considered as one of the world's biggest and most popular beauty pageant for transgender women. 20 contestants from around the world competed for the crown this year taking part in various rounds, including the national costume performance. Thailand's contestant Kanwara Kaewjin and Yaya of China were named first and second runner-up, respectively. 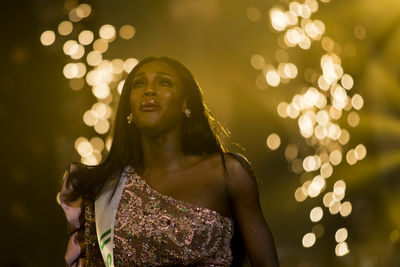 This well-known pageant was launched in 2014 as a platform for trans women to display their talent and to raise understanding and acceptance of transgender people. While they all fiercely compete to win the title of Miss International Queen, the event also brings trans women together and offers them an opportunity to speak out for transgender equality. 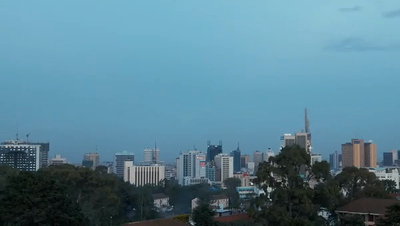 The contestants come from different backgrounds, but they all share similar stories of both discrimination and achievement over their identities. Van from Japan does her makeup backstage as she prepares to compete with 20 other transgender women at the Miss International Queen 2019, an annual transgender beauty pageant celebrated in Pattaya on March 8, 2019. Contestants wait for their turn to talk with the Jury during the Miss International Queen 2019, an annual transgender beauty pageant celebrated in Pattaya on March 8, 2019. 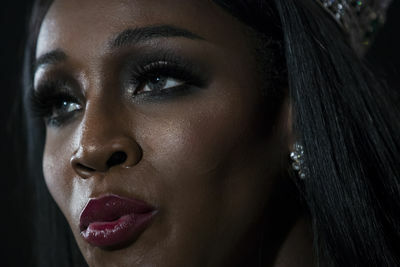 Adriana Jya of Peru after talking with the Jury during the Miss International Queen 2019, an annual transgender beauty pageant celebrated in Pattaya on March 8, 2019. A traditional costume from Peru during the national costume round at the Miss International Queen 2019, an annual transgender beauty pageant celebrated in Pattaya on March 8, 2019. 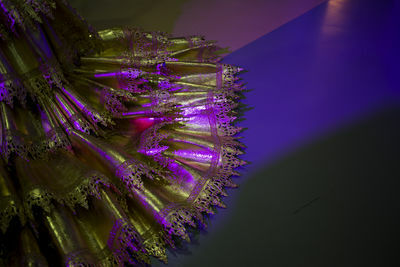 Contestants wear traditional costumes with an innovative touch for the national costume round at Miss International Queen 2019, an annual transgender beauty pageant celebrated in Pattaya on March 8, 2019. Contestants backstage during the Miss International Queen 2019, an annual transgender beauty pageant celebrated in Pattaya on March 8, 2019. 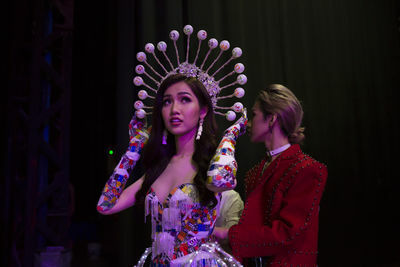 A contestant gets ready backstage as she prepares for the final round of Miss International Queen 2019, an annual transgender beauty pageant celebrated in Pattaya on March 8, 2019. 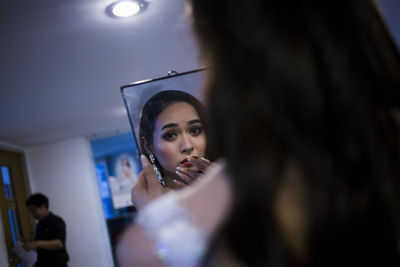 A contestant gets ready backstage during the Miss International Queen 2019, an annual transgender beauty pageant celebrated in Pattaya on March 8, 2019. Jazell Barbie Royale of USA poses for the cameras after getting her makeup done. 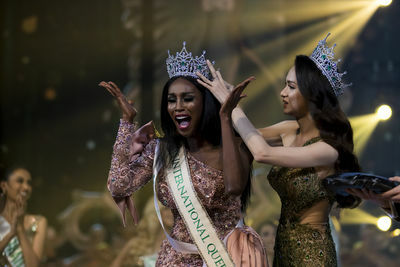 Jazell was crowned 'Miss International Queen 2019'. Do Nhat Ha from Vietnam during the national costume round at Miss International Queen 2019, an annual transgender beauty pageant celebrated in Pattaya on March 8, 2019. 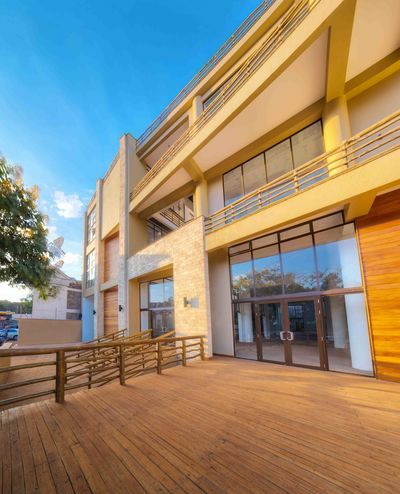 A selection of The Centrum Media's published stories over the past few years. 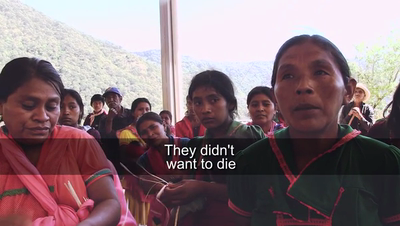 In Mexico, in the State of Guerrero, there is a war that kills thousands of dead. 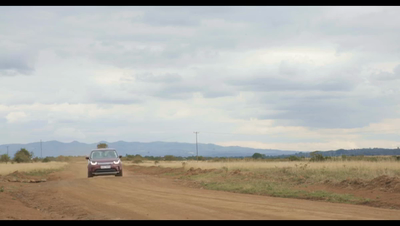 Everything revolves around the production of opium, the rubber used to make heroin. This is a drug that then feeds the demands of the worldwide markets, from Europe to the United States of America. 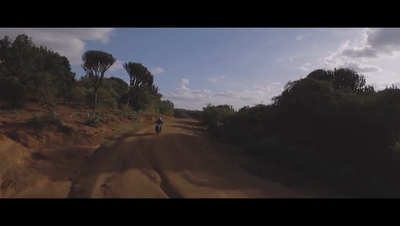 In the report we can see the disappeared bodies, the ghost towns, abandoned due to the war, the evidence of the fight between cartels, those who for some time collaborated with criminals and now live in hiding. Places where murder rates are very high. There are also the voices of those who have been kidnapped and who have account of all the mechanisms. 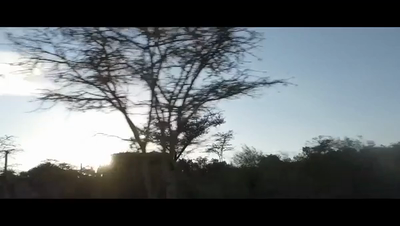 Guerrero Lost is a fresco of a real war of which little is known. The second summit between the U.S. President Donald Trump and North Korea chairman Kim Jong-un has brought to the city of Hanoi heavy traffic, security cordons, and bustle. 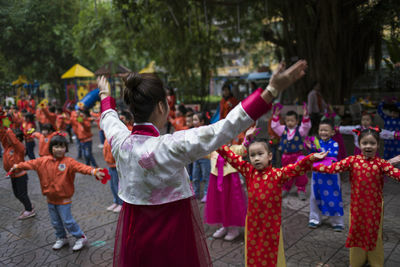 However, the residents of the capital of Vietnam have welcomed the distinguished guests with great diplomacy and, in many cases, with joy and very peculiar demonstrations of admiration. 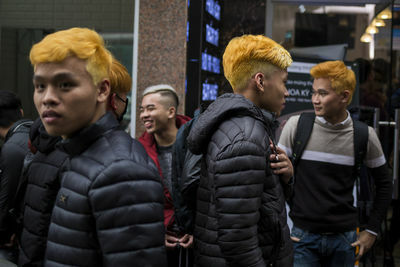 A barbershop that offers free haircuts that re-create Donald Trump and Kim Jong-un characteristic hairdos, artists drawing paintings of both leaders and shops selling T-shirts with Kim's and Trump's faces on. 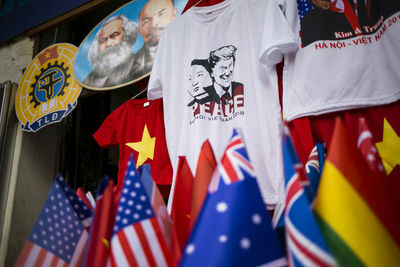 The summit has brought many things to the city but also craze for Donald Trump and Kim Jong-un.